Missed Azure OpenDev? Watch the videos on-demand now! On Wednesday, June 21, Microsoft hosted the first ever Azure OpenDev virtual event, and I was blown away by the community support and response! The event was only made possible with the amazing support of partners such as Canonical, Red Hat, Docker, Pivotal, and Chef. OpenDev brought to life what’s possible with open source in the cloud based on experiences from our partners, customers, and community members from around the world. Nearly one million people have already watched the event live or on-demand. 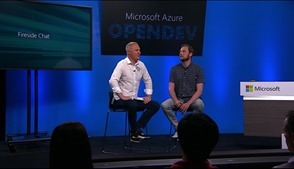 If you have not participated yet, watch all the Azure OpenDev sessions now, for free and on-demand! I kicked off Azure OpenDev by sharing Microsoft’s strategy for open source, bringing to light facts and unknown statistics around our usage of and contribution to open source software. I highlighted some of our most recent open source related announcements such as managed services for MySQL and PostgreSQL on Azure, a new open source Kubernetes tool, Draft, and joining the Cloud Foundry Foundation. Building on the latter, I was fortunate to have Abby Kearns, Executive Director of the Cloud Foundry Foundation, join me via video-conference during OpenDev to explain the role of the foundation, how they work with cloud vendors, and her perspective on Microsoft joining the foundation. Next, some of our partners shared their point of view about open source in the cloud, microservices development, containers, and DevOps using open technologies. Scott Johnston, COO at Docker, demonstrated how Docker can help modernize traditional applications and bring them to the cloud, in addition to announcing support for Docker Community Edition in Azure Container Service. 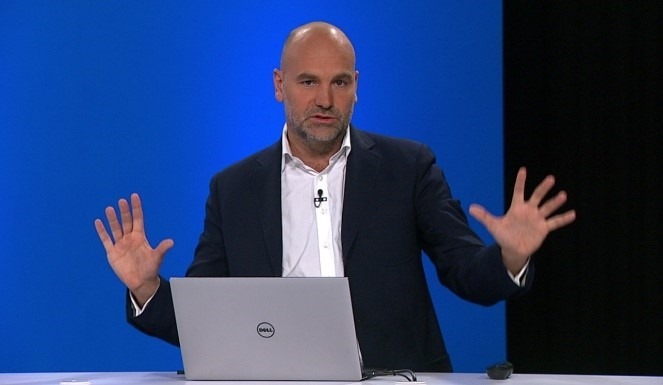 Mark Shuttleworth, founder of Ubuntu and Canonical, showcased Canonical Kubernetes and large-scale distributed systems on Azure. Joshua McKenty of Pivotal and Rick Clark of Mastercard talked about business transformation through the adoption of cloud-native patterns for Java applications on Pivotal Cloud Foundry, powered by Azure. Nicholas Gerasimatos from Red Hat presented the Red Hat + Microsoft partnership and OpenShift running on Azure. Nell Shamrell-Harrington from Chef presented application automation with Chef Habitat. Some Microsoft speakers also presented their experiences with open source technologies. Gabe Monroy and Michelle Noorali, who recently joined Microsoft through the Deis acquisition, presented Helm and Draft, two open source tools to help manage Kubernetes. Kaspars Mickevics, engineering manager from the Skype team in Estonia, showed how they’re using Azure to run the massive-scale Debian systems that power the VoIP solution worldwide, as he shared some practical, technically deep learnings. We published how-to videos to help you quickly get started and experience open source technologies on Azure. Joe Binder, Principal Product Manager in the Azure team, showed how to run a Spring Boot (Java) app on Azure Web Apps and on Azure Container Service. Matt Hernandez, Senior Program Manager, demonstrated the end-to-end story for running a MEAN (Node.js) app on Azure with Visual Studio Code and Cosmos DB (a MongoDB drop-in replacement). Be sure to check them out and try the demo on your own! A special thank you to all of our speakers, our viewers, and the team that made this event possible and such a success. While this was the first edition of OpenDev, it’s definitely not the last! We’re working to make Azure OpenDev a recurring event, three times per year, and I’m pleased to announce that the next one will be in October! Sign up for updates and stay tuned for more announcements.